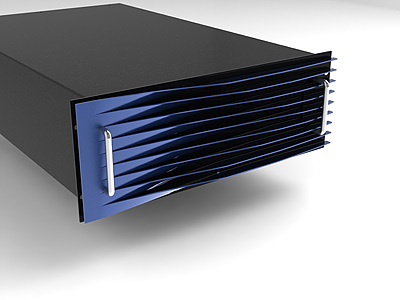 An international broadcasting firm had a need for a high-tech, visually-appealing faceplate for a line of servers they planned to manufacture. To the customer’s satisfaction, several concepts were created and rendered using 3D CAD software. The project included materials research, fit and finish, and logo design. Mechanical drawings were then created for design transfer to a manufacturer.